A newly released video shows a black man being shot dead by police officers as he stepped out of a car with his hands raised. Jerame Reid was a passenger in a car pulled over by police in Bridgeton, New Jersey, for going through a stop sign. Before opening fire, one officer warns his partner about seeing a gun. The case follows months of protests over the killings of unarmed black men by white police officers in New York and Ferguson, Missouri. However, one of the two officers involved in the Bridgeton altercation is black. The newly released footage from a police dashboard camera shows police approach the car and then an officer warning his colleague about seeing a gun in the glove compartment. 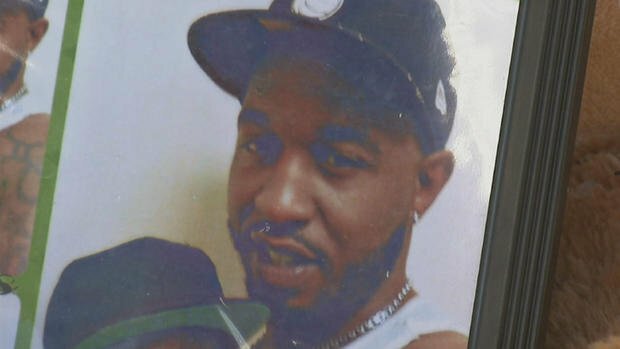 After the officer reaches into the car to retrieve what appears on the video to be a handgun, the car door opens and Jerame Reid steps out with his empty hands raised to his shoulders. At that moment, the two officers fired several shots. The killing on December 30 has already sparked protests in Bridgeton, a city of about 25,000 people south of Philadelphia. Both officers have been given leave pending an investigation by the Cumberland County prosecutor’s office. Activists say they want the prosecutor to transfer the case to the state attorney general.